The Town of Genesee is located in the Kettle Moraine region of WAUKESHA COUNTY, about 30 miles west of Milwaukee. Its contemporary population of approximately 7,340 people is spread out over its 32 square miles. Genesee’s first European settlers, primarily German, Welsh, Irish, and English immigrants, arrived in the 1830s. These migrants established many small settlements. Three unincorporated communities dating from its early days—Saylesville, Bethesda, and Genesee Depot—still exist today. The two most populous early settlements, NORTH PRAIRIE and WALES, incorporated as independent villages around 1920. The placement of the railroads and the quality of farmland determined which settlements prospered. The Town’s earliest settlement was Genesee Village, where the Town’s first resident, Stillman Smith, made his home in 1837. Residents hoped the village would become a railroad center, but in 1851 the Milwaukee & Mississippi Railroad laid tracks in a nearby community that prospered instead. Businesses catering to travelers and locals grew quickly in Genesee Depot. Irish immigrant Patrick Lynch built the Union House Hotel in 1861, which continued to operate as a restaurant in the twenty-first century. In its heyday, it was a popular vacation spot for travelers from Milwaukee and Chicago attracted by spring waters and the beauty of the Kettle Moraine. Booming Genesee Depot also benefitted local farmers, who did business in the community. 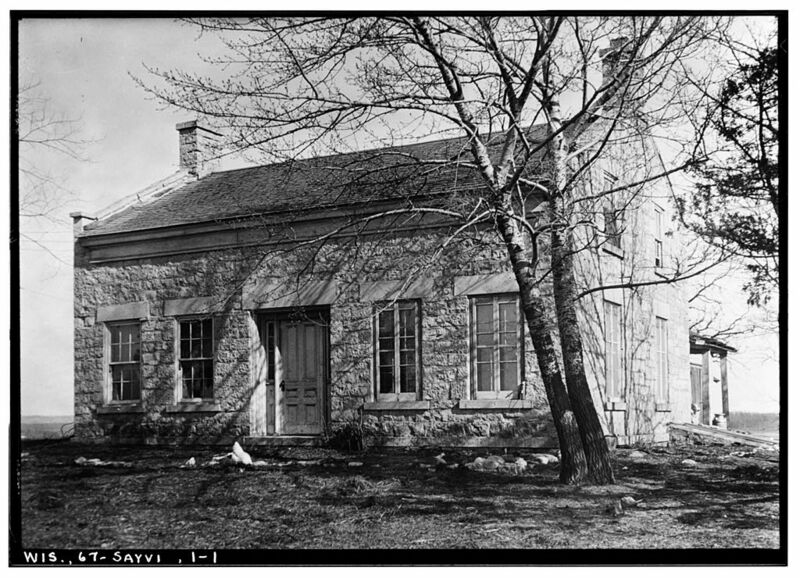 Dairy farming was prominent in Genesee and the region. In the late 19th century, Genesee Depot became a bustling milk shipping center, sending two or three carloads daily to other Midwestern cities. Local dairy farmers were early adopters of sanitary practices for milk production, as industrial dairy farming began spreading illness throughout the country. Several farmers in the Bethesda area founded the Wisconsin Guernsey Breeders’ Association, which focused on adhering to the medical standards for certified milk. In 1917, Genesee’s Pleasant Valley Farm claimed to be the largest certified milk farm in the country. Quarrying was important local industrial activity in the second half of the 19th century. The Wisconsin capitol building and several Milwaukee-area buildings used stone from Genesee’s Johnston Quarry. Opened in 1842, the quarry site is now on the National Register of Historic Places. As farmers’ children increasingly pursued other careers in the 20th century, Genesee transformed into a rural bedroom community. In the 1930s, Genesee’s scenic and rustic nature attracted the Broadway stars Alfred Lunt and Lynn Fontanne, who built a retreat there. The famous couple often hosted some of the biggest names in art and media at their TEN CHIMNEYS estate. Today, the Town maintains an historic, rural atmosphere, placing importance on preserving its architecture as well as its small-town charm. Genesee’s location in lower “LAKE COUNTRY,” along with its hills and woodlands, provides recreational opportunities for residents and tourists alike. Residents enjoy Genesee Town Park, which offers sports fields, playground equipment, and a shelter for picnics, as well as Sunset Park. Genesee Depot’s remaining nineteenth-century buildings help retain its historic flavor. ^ Southeastern Wisconsin Regional Planning Commission, The Population of Southeastern Wisconsin (Waukesha, WI: Southeastern Wisconsin Regional Planning Commission, 2013)3. ^ The History of Waukesha County, Wisconsin (Chicago: Western Historical Company, 1880), 741. ^ “A Brief History: Township of Genesee, WI,” Town of Genesee website, April 23, 2003, accessed February 5, 2014; Southeastern Wisconsin Regional Planning Commission, The Population of Southeastern Wisconsin, (Waukesha, WI: Southeastern Wisconsin Regional Planning Commission 2013). ^ The History of Waukesha County, Wisconsin, 741; “A Brief History: Township of Genesee, WI,” Town of Genesee website, April 23, 2003, accessed February 5, 2014. ^ “A Brief History: Township of Genesee, WI,” Town of Genesee website, April 23, 2003, accessed February 5, 2014. ^ Milk Plant Monthly, vols. 1-2 (1913). ^ Rebecca R. Konya, “Town of Genesee: Once an Agricultural Hub, Residents Now Enjoy Genesee’s Tranquil Setting,” Milwaukee Journal Sentinel, January 2, 2010, accessed March 15, 2014. ^ “Genesee Depot,” Visit Waukesha County website, accessed April 2, 2014.